It's that time of year again. We are getting ready for the In-House Tournament in March. 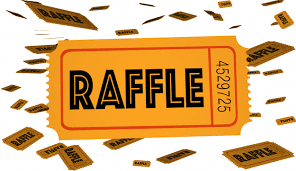 As in past years, we will be holding the Raffle. So now is a great time to re-gift that Christmas present that does not quite work for you. We will take donations of just about anything that you want to give. Pottery, Glass, woodworking projects, sewing projects, etc... So clean out your closets, and make a donation. This year we will also be doing a 50/50 cash draw, so bring your cash.